FERGUSON, Mo. – T.E.H. 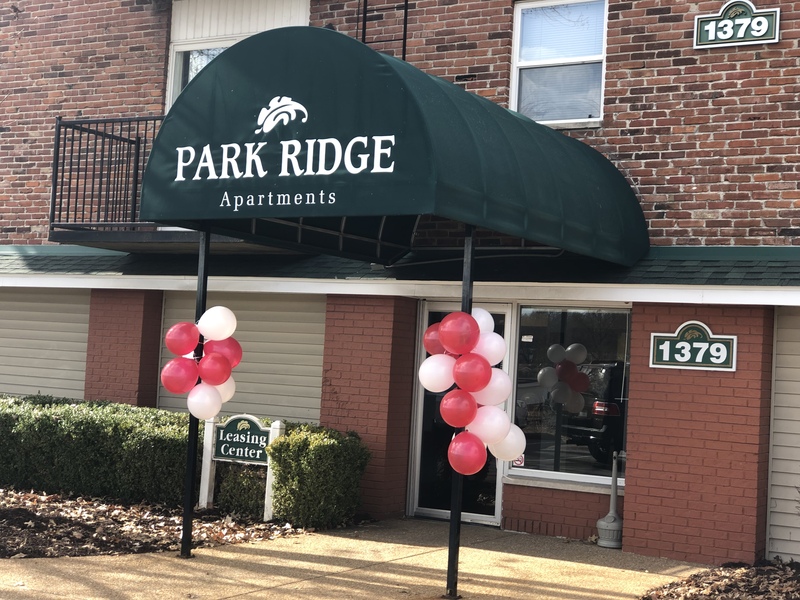 Realty acquired the Park Ridge Apartments in late May of 2018. Since the change in ownership, Park Ridge residents have felt more at ease and T.E.H. has helped bring a sense of community to the area. T.E.H. Realty currently owns twelve properties in the St. Louis region, as well as properties in Kansas City, Mo., Pennsylvania, Indianapolis and Tulsa, Ok. Reportedly, the company has a good track record of buying properties and improving them. In just a few months, T.E.H. 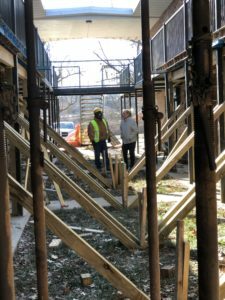 has worked to rebuild and rebrand the property with different construction projects such as repairs to the elevated stairwell located behind the office building. So far, half of the concrete has been poured for the stairwell, however, the cold weather has delayed the process a bit. According to T.E.H. staff, the inspectors come out to inspect various states of each project to check the different phases. Whether it is the interior or exterior of the units, T.E.H. is making sure they are walking the properties with the inspectors and taking action to implement recommendations, ensuring that units are up-to-par for occupancy. According to Dean, the inspector was pleased with the reinforcements that are currently being made. He also said there are extensive improvements being made on this particular property with checkpoints, gutters, stairwells and more. For Rabin, it is important to him that the residents feel like this space is their home, a place to bring their friends and families. 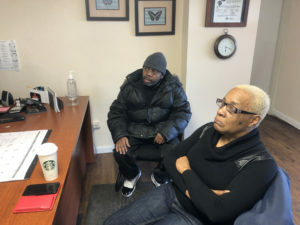 He wants them to feel a sense of community, which Janet Carthen, property manager of Park Ridge, can attest to happening. Faith and Family M.B. 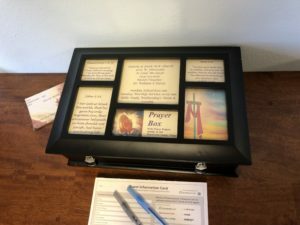 Church, located down the road from Park Ridge Apartments, has a prayer box located in the apartment’s office building for residents to come and write down their prayer requests. Residents have the opportunity to stay anonymous or write their name and request one-on-one prayer with the pastor. The church comes to pick up the prayer requests once a week. “So right now it’s just bringing the community back together in what we’re doing,” Carthen said. T.E.H. 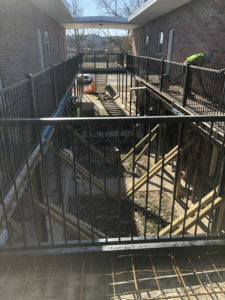 has worked hard to improve safety at the apartment complex, evicting residents who were not following the rules and making changes to improve security. Rabin said it is a big change from less than six months ago, and now people want to stay and bring their friends and family over. Rabin said they don’t see people wanting to move out and it’s very quiet now, which everyone likes. “A lot of the riff-raff are gone. Troublemakers? They are gone. So there’s peace and quiet,” Robert Collins, resident at Park Ridge Apartments, said. 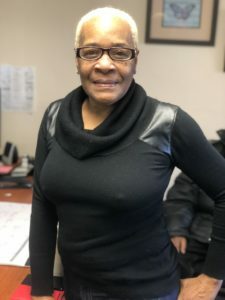 Collins has lived in the apartment for eight years and is referred to as the “bodyguard” by the other residents and property workers because he makes sure the other residents safely make it to and from their destinations when walking to the stores or down the road. He upholds the sense of community that T.E.H. is working to rebuild. Rabin said they are here for the long haul and plan to keep Park Ridge in the T.E.H. portfolio for years to come, and their goal is not to make improvements and leave, but rather make improvements and continue forming a strong community that feels safe. T.E.H. said they plan to start more community-based events in the upcoming months for their residents at Park Ridge. They want to ensure that they are doing renovations as well as activities that are benefiting their residents. Neal even mentioned building a park on one of the vacant places for the children to play.